Taking the visionary epic, forbidden history and conspiracy to new levels. 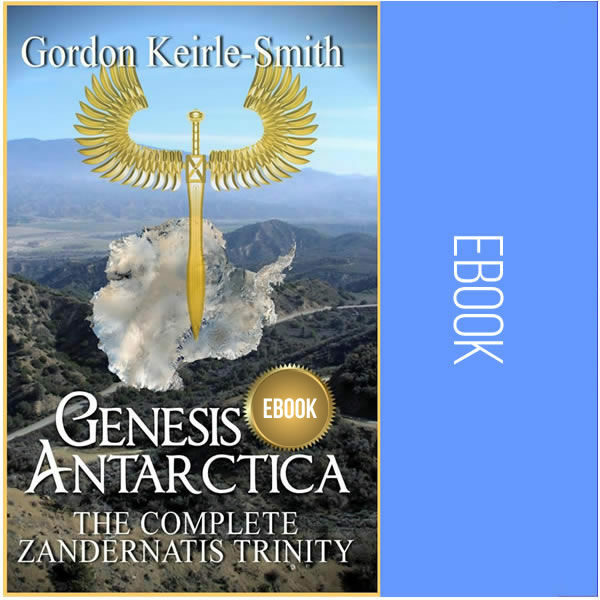 Genesis Antarctica is a multi-faceted work “based on ancient documents discovered under the Antarctic ice in 1962 by the Australian Vostok Traverse Expedition”. Known as the “Haakon Urn” texts, these unique writings pre-date all other early civilizations (including legendary Atlantis, Lemuria and Mu) by several tens of thousands of years. Its core heroic saga based on “The Song of Gorin”, one of the few literary documents among the texts, evokes the “Architects of Civilization”, the role they played in defining “Paradise” for their children and the pivotal challenge to its survival that led to an inevitable demise. This monumental narrative is presented as a gripping saga , in which a lone protagonist awakens in the “Paradise Garden” knowing nothing but his own name. 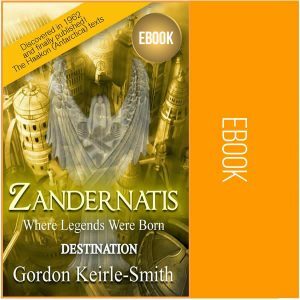 After a series of adventures, he arrives in Zandernatis – the “Golden City” He discovers that while he knows nothing of his own origins, everyone in Zandernatis clearly remembers every detail of all their previous lives. 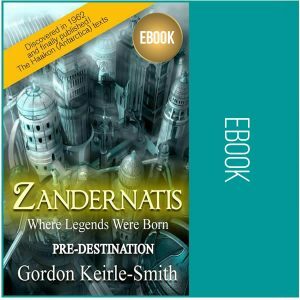 Fulfilling ancient prophesies, the aging King sends Gorin on a quest to find and recall the heir to the “Winged Throne” who was enticed from his ancestral, fortified home by compelling dreams that had plagued him for many months. Guided by a fabulous unihorn, Gorin ultimately meets the “Lords of Creation”, setting in motion events that culminate in an apocalyptic battle to save Zandernatis from being overrun by an indigenous army, spurred on by swarms of “evil allies”. The outcome of this conflict reveals the true nature of the “Fall from Grace” described in the Biblical Genesis written several millennia after the “Song of Gorin” and totally misinterpreted ever since. This ongoing storyline is interwoven with insights into the far-reaching repercussions the discovery in Antarctica and its implications are having on our own 21st century society. Reports of the initial find in the international press. The unique characteristics of an ancient society that made religion redundant. Bitter rivalries within Editorial teams on making the texts’ sensational content public. Echoes of the pre-glacial civilization in Australian Aboriginal “Dreamtime” mythology. Reports from the Swiss PLMRI Research Institute on its hunt for subjects with past life memories set in temperate Antarctica. Martha Calbrow’s unique “Dreaming Diary” recording her initial Out of Body Experience and vision of time spinning backwards, together with corroborative descriptions of events described in the Haakon texts. The reincarnation debate in social media sparked by the Haakon revelations, plus examples of vehement repudiation from religious conservatives. 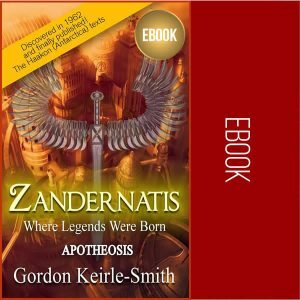 The emergence of a ”Neo-Zandernatist” movement designed to promote the principles behind the ancient writings. A sensational discovery in 2013, solving a 37 year old mystery and revealing a concerted conspiracy (with intimations of CIA involvement) to keep the Haakon findings out of the public arena. For we should never forget that Genesis Antarctica is “as real as you need it to be“. Our ebooks are compatible with most tablets and smartphones.